Born in Evanston, Illinois in 1942, Jim Bengston became interested in photography while stationed in Germany with the United States Army in the late 1960s. Upon discharge from the Army, Bengston took a job with the Associated Press in New York. 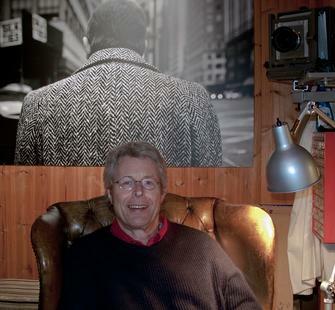 In 1971, he moved with his family to Oslo, Norway, initially working as a copywriter, translator and staff photographer at an advertising agency before breaking off and beginning a career as a freelance photographer. Bengston is known for his photographs of the Norwegian landscape, which often seem to capture fleeting moments that speak poignantly of human experience. Bengston describes his work as an attempt to capture the “feeling” of the land rather than simply its shapes and colors. In the early 1980s, Bengston joined with composer Ingram Marshall to co-create two pieces: “Alcatraz” and “Eberbach.” In both projects the artists sought to combine music and photography in ways that highlight the communicative powers of each medium but also bring the two together to create a new artistic language. The result, in both projects, is a series of moving still photographs with live, electronically processed music. Bengston’s work is included of the collections of the Museum of Modern art, New York; the Art Institute of Chicago; the Walker Art Center, Minneapolis; the San Francisco Museum of Modern Art; Bibliothèque Nationale de France, Paris; and the National Museum of Contemporary Art, Oslo among others.